Scroll Down and Click on the logos below to be directed to their home page. Online showroom with model specifications; call or visit Dryland Marine to discuss what utility or fishing boat is right for you. Be smart and safe, get your "Pleasure Craft Operators Card". 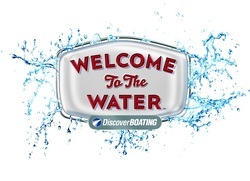 All the information you need to discover boating as the perfect all-summer vacation. Get to know your local club, people like you and me. They love snowmobiling. Qualipieces designs, Ski Carbide Wear Bars, for the best steering control of you snowmobile. Plus "The Roller Ski system, for prolonging ski and carbide wear bars, and "Ice Scratcher system to get more cooling to engine and Slider/Hi-Fax. (Protect your engine and enhance slider performance. 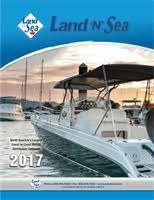 ​2018 LAND N SEA "Boating Accessories Catalog"
Click on Land N Sea book, to open Catalog. (Tip for menu, Click the Three Lines beside 2018.